You may be wondering what are Velux cabrio windows? Basically, these are special windows that act both as a balcony and velux window. Therefore, they are also known as balcony roof windows. These types of windows transform an ordinary roof window into a balcony in seconds. 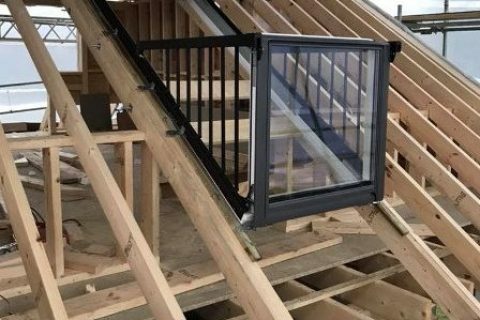 Velux balcony roof windows work by opening the top hung window, once the bottom vertical window is opened it allows access to the balcony. The top hung part also rotates 180º so it can be easily cleaned. This balcony window is also very safe, as it comes with toughened safety glazing and a strong frame. When closed these unique windows allow a lot of daylight to flood any room. Is a cost effective way of installing a balcony. The large window area floods your space with day light. Can add value to your home due to the extra wow factor. Top hung section rotates 180 degrees and locks in place for easy cleaning of the outer pane. Usually these windows come with an easy-to-clean coating on the toughened outer pane, which helps keep the glazing cleaner for longer. Costs more than a standard Velux window. Requires more skill to install than a standard Velux window. Only suitable for roof pitches between 35 to 53 degrees. To find out more information regarding installation, click here to visit the Velux website. 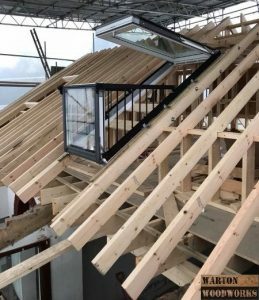 Below is an example of a Velux cabrio window being installed into a loft conversion. If you are considering having a loft conversion, then we recommend you check out our popular loft conversion article. It shows a hip to gable loft conversion from start to finish, with over 100 images! 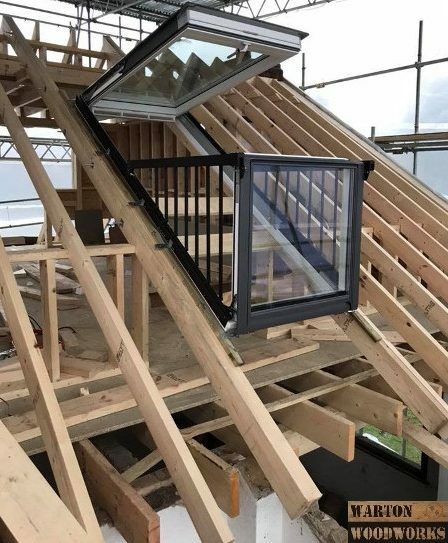 When it comes to these types of windows, we only recommend Velux. Size and price guides can be viewed on their website.